Tasting Note: Light peach. Pallini Peachcello is a tantalizing elixir, a light, satiny textured liqueur brimming with appeal. Its generous bouquet showcases the tantalizing aromas of ripe white peaches. The complex array of fresh, peachy flavors is laced with notes of vanilla and spice. The lightly sweetened liqueur rolls over the palate eventually fading away in a relaxed, flavorful finish. 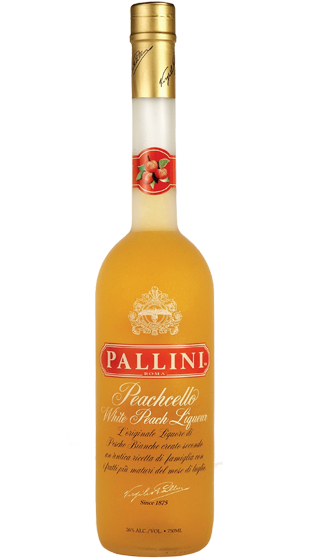 Pallini's luxurious liqueur is the real deal, a peach experience that rivals sinking one's teeth into ripe fruit.